and we are happy to hold your luggage for you before check-in and after check-out!! You can enjoy the calm atmosphere and feel the real Japanese style house experience. We are looking forward to meeting you soon~!! (2) If cancelled or modified within 3 days before the arrival, 50% of the room rates will be charged. (3) If cancelled or modified on the arrival date or No Show, 100% of the room rates will be charged. 6. Reception Hours: from 07:00 to 23:00. Can't recommend this hostel enough. The staff were really nice and the place felt cozy. This is the right place to go to if you want to feel the Japanese hospitality. Yeh , just gave an 8 to another hostel so , I mean this. Great place! Much love to Kita-san and Mina-san ! Only stayed one night but because i already booked other places. Shower is great ! Home feel. Nice people , easy to meet in the common area. Yea, the only way to go wrong here is to book less that 2 nights. Yokohama is yet unlooked by tourists. So go enjoy great food , a great chinatown, lovely boardwalk or just stay in the hostel and chat with other travelers. 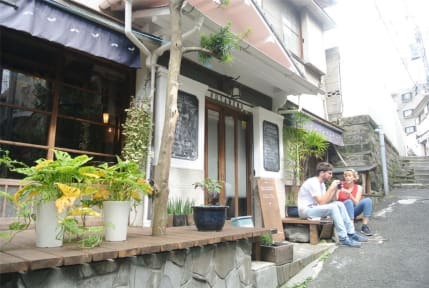 Super cool, one of my favorite hostels outbid the 5 I stayed at whilst in Japan. Amazing staff, really cool traditional style. Couldnt reccomend it enough, hopefully I can visit again. Check out myngreen hat pinned on the wall! The only thing that I didn't like, it was the fact of having a curfew. The place is very nice! the staff very friendly and they want to help you all the time!! I enjoy my stay with them!! nice traditional and cozzy place! More on the casual side of hostels. I stayed at 3 different hostels in 3 different cities during my trip, and this was my favorite of all three hostels. Located close to two train stations, which was super convenient. The owner/operators are super friendly and really nice people. No locks on the rooms and only 2 toilets and showers for the whole place seem like they would be strikes against the place, but weren't really. Close to the price of a 3-star hotel room for 2 people, so pricey-ish. I was only here for 1 night, but they certainly made me feel welcome. They write the names of the incoming travelers on a chalk board outside, which is a very nice touch. They were kind enough to hold my bag for me prior to my check-in, and they were very thorough in showing me around and giving me nearby recommendations even though my stay was so short. 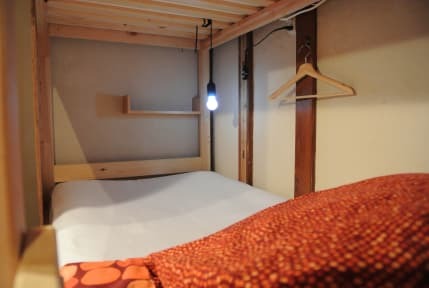 The hostel only has about 5 rooms, so it is small in size, but absolutely cozy. The train is also only about 10-15 minutes away walking. Good location with lots of bars and restaurants nearby:) Place was clean n well kept but there is a 1am curfew (as in the door is locked and you can’t get in).